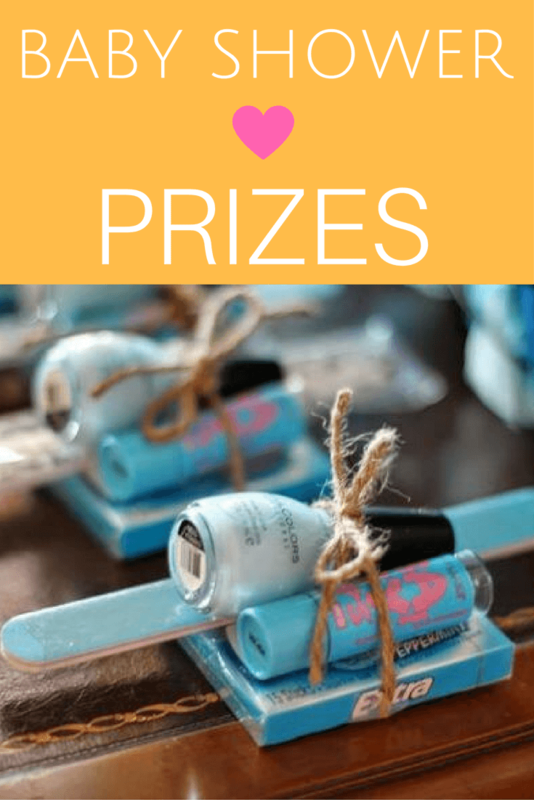 Our culture is fascinated with celebrities - and when a celebrity baby shower is thrown, things get even more exciting! 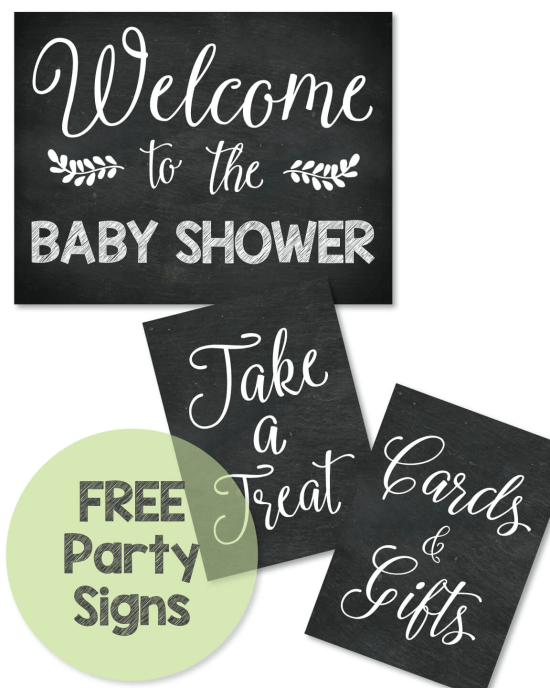 It is so much fun to peek in on a fancy baby shower and get inspired with new ideas for decor, favors, food and gifts! 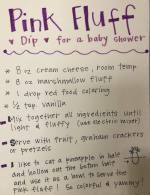 Below is a collective list of famous baby showers that we add to on a monthly basis. Enjoy! Meghan King Edmonds is expecting a baby girl with her husband, Jim Edmonds, former MLB player. 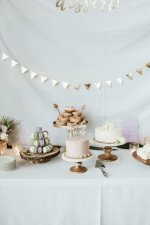 She was showered with a beautiful rustic chic baby shower, full of whimsical flowers, rustic decor and yummy desserts. The shower was held at the Newport Beach, California's Balboa Bay Club. 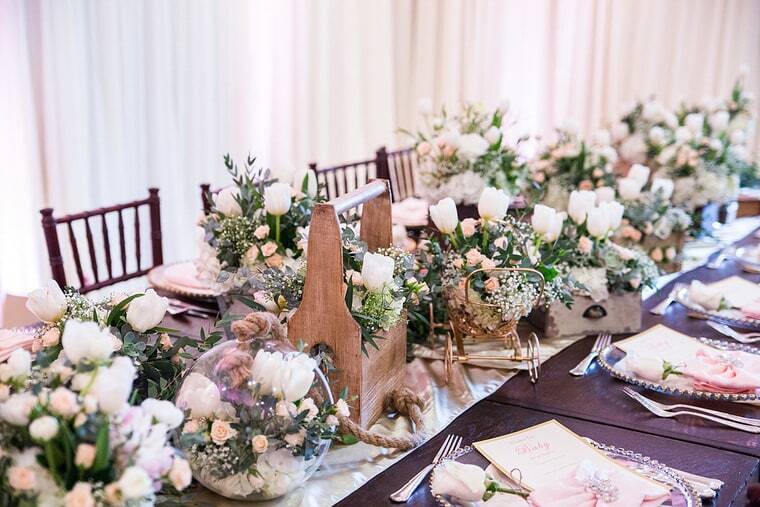 This gorgeous tablescape is adorned with roses, babies breath, sprigs of greenery and rustic, wooden flower holders. This is by far my absolute favorite picture from the baby shower! 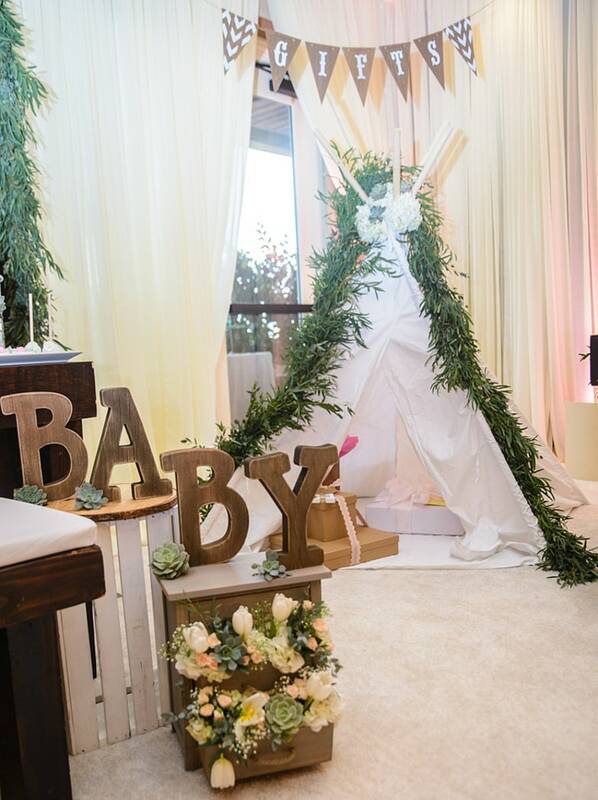 What a wonderful idea to have guests place their baby gifts in a beautiful tee-pee. The succulents and flowers spilling out of the chest of drawers make this even more perfect! 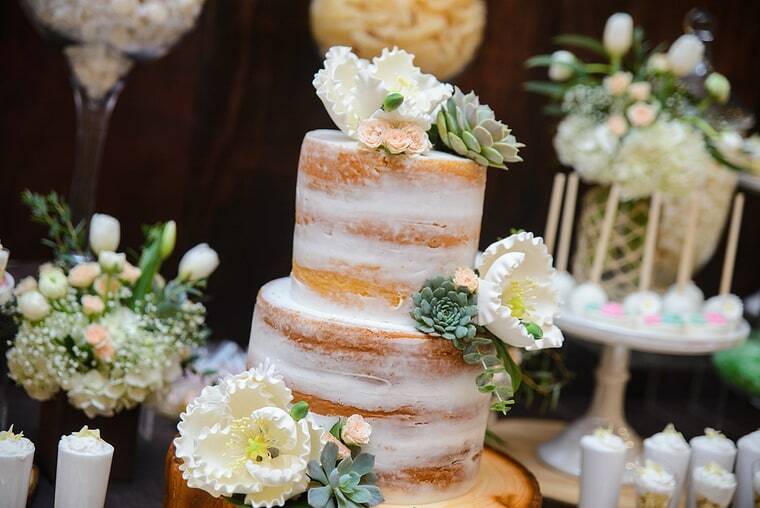 So many amazing desserts and sweets were served - and this cake is absolute perfection! 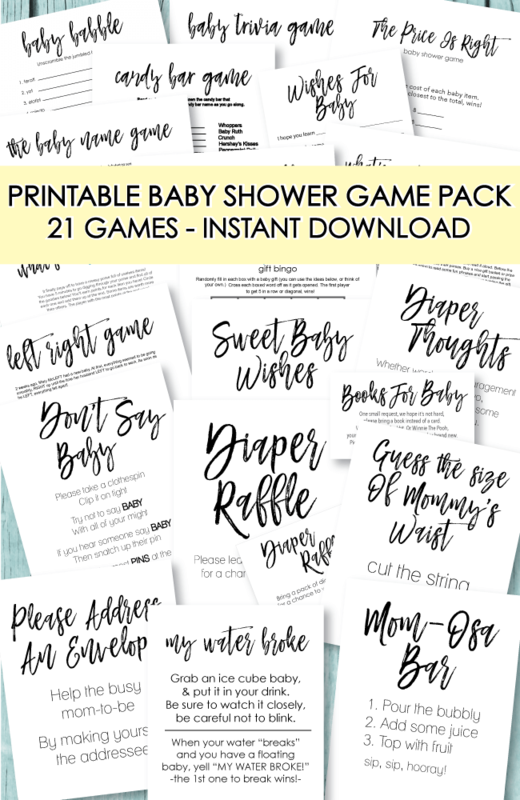 We heard that Meghan and her guests didn't play any baby shower games at the shower. 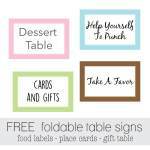 But guests did fill out advice cards - giving the baby their well wishes. 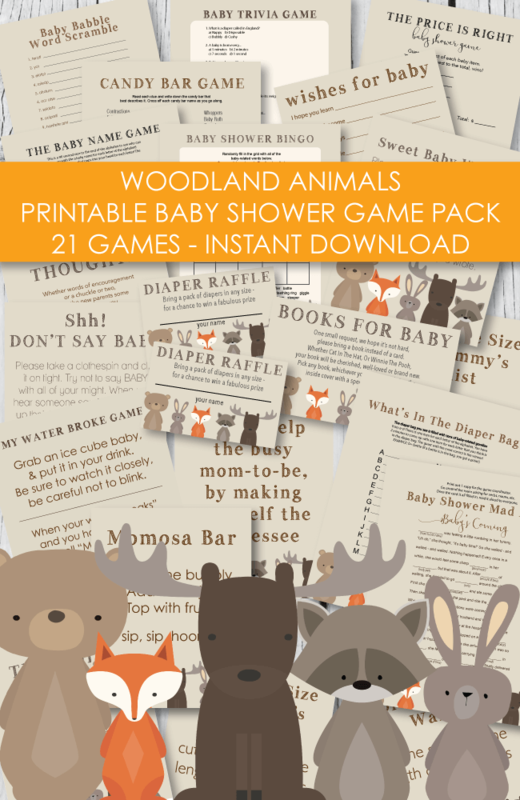 For gifts she got cute baby clothes, a Prada diaper bag and baby Ugg Boots. So cute! 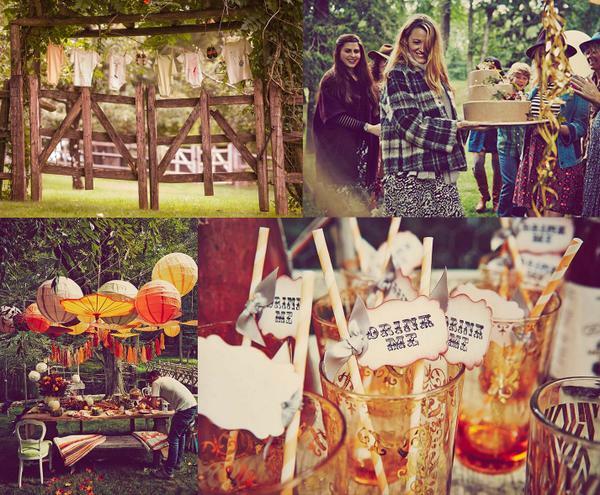 Visit our woodland baby shower theme for more cute and rustic ideas. 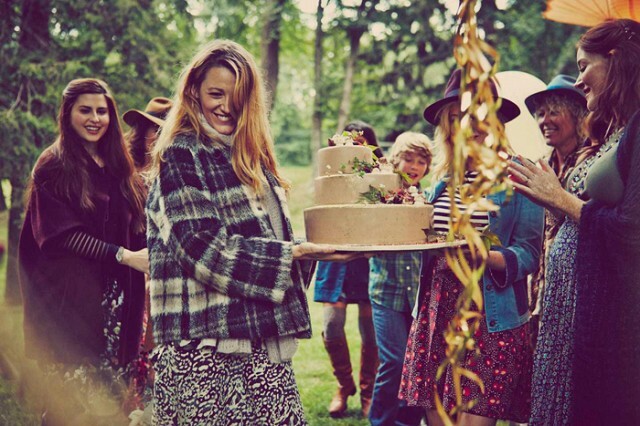 The next celebrity baby shower featured is Blake Lively's. 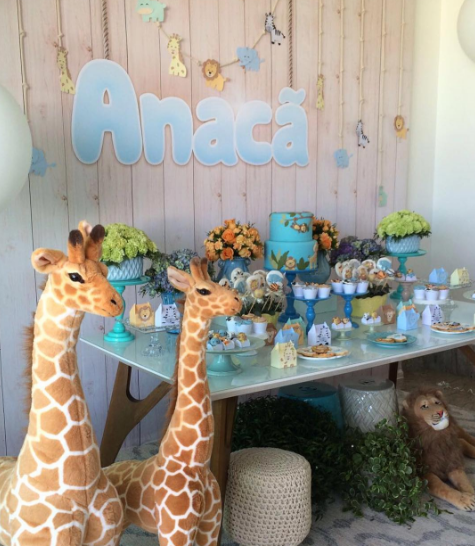 This baby shower is from Blake and Ryan Reynold's first baby in 2014. 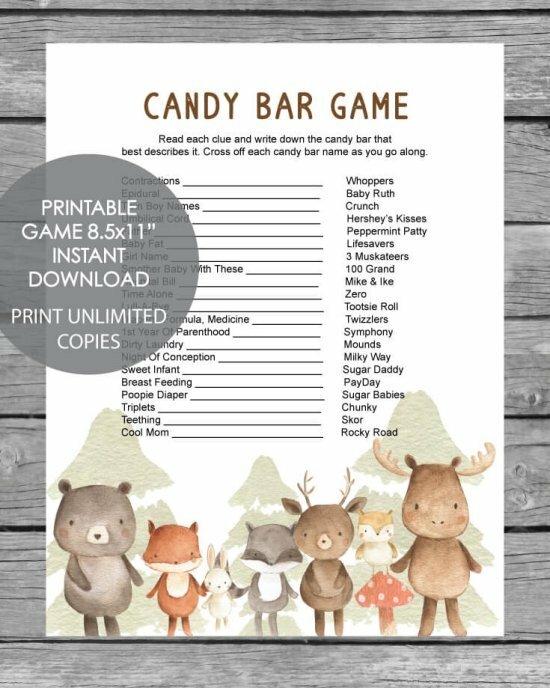 It is so beautiful and timeless, and if you are looking for a fall, woodland theme, you are going to love it! 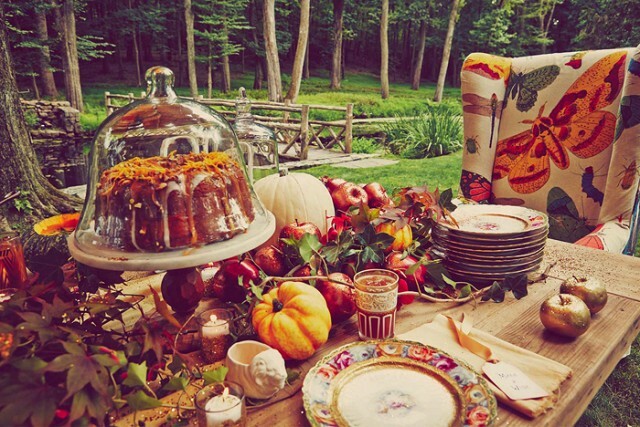 The photos speak for themselves and are full of all of my favorite fall things! Spiced pumpkin cake with icing drizzled all over the top, caramel apples, pumpkins, apples, beautiful tones of reds, orange, green, brown and yellow. 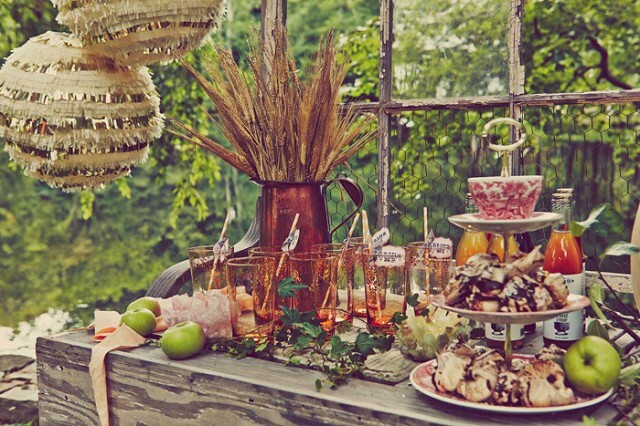 Rustic and beautiful table decor, delicious treats, wooden toys, whimsical baby dolls, paper lanterns and tassels. So wonderful. 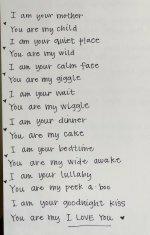 Victoria's Secret Supermodel, Candice Swanepoel was given an elaborate and adorable "Jungle Themed Baby Shower" - and we think you're going to love it! 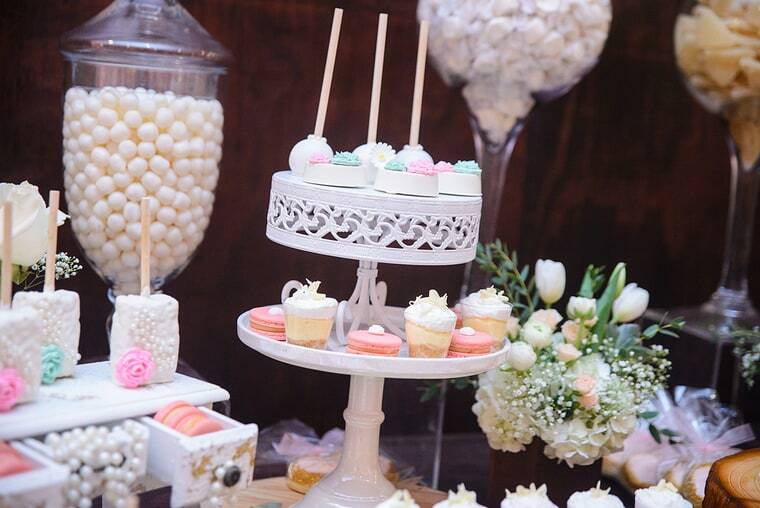 So much detail went into this baby shower! Large plush jungle animals, adorable cakes, cupcakes, suckers and other treats. Beautiful tones of blue, orange and green make the scene cheerful and inviting! 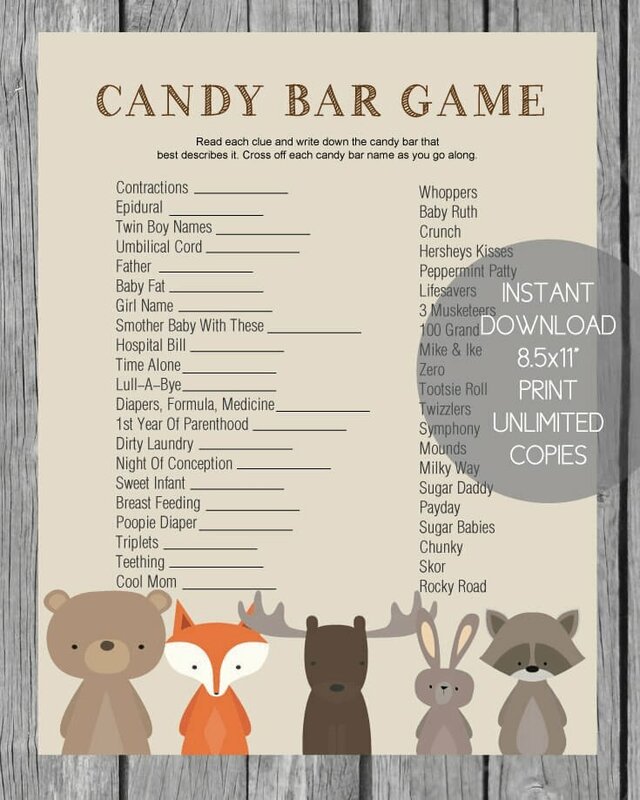 And best of all, the bubble letter cut-out banner of the baby's name. 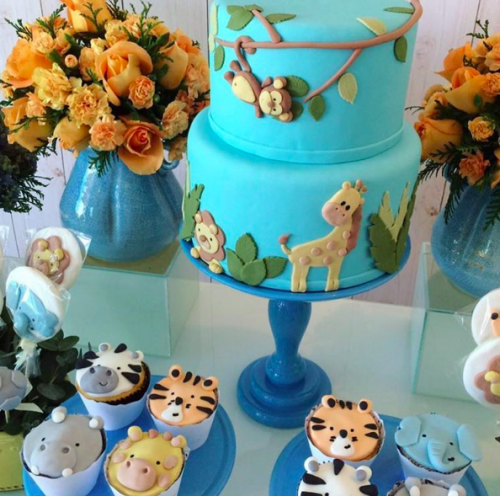 Hop over to see all of our jungle baby shower cakes and cupcakes.